The holidays are an amazing time to think about all that has occurred throughout the year, to celebrate milestones and the appreciation of your staff, all while you prepare to begin a fresh start in the New Year. On the other hand, the holidays can be quite overwhelming and expensive as a business owner. 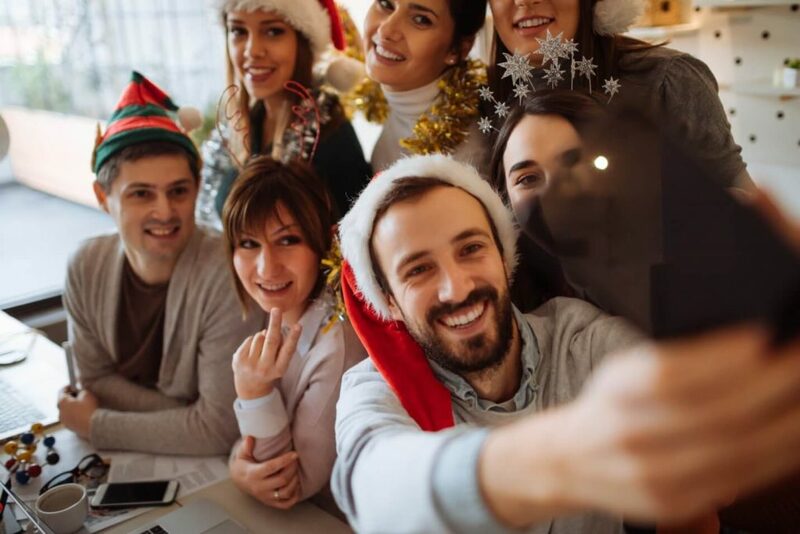 Not only are employees often distracted or not present at all due to vacation time, but many of us experience “holiday brain” and shift our focus to upcoming celebrations and holiday parties. Speaking of holiday parties, if you’re getting prepared to share your party plans with your employees, before you do, here are some simple do’s and don’ts you may want to remember as we enter into the holiday season. Why wouldn’t you, right? Tis the season to surround your office in festive decorations! Your team will love seeing their everyday standard office transformed into a cozy and festive atmosphere! It will lift moods, get everyone in the spirt of the holiday season, and at the end of the day Christmas décor looks simply gorgeous. Consider asking your employees to assist with the decorating process; it’s a work break for them and it will really add some fun to the general mood of your office environment. For safety and liability purposes, you may wish to consider throwing a holiday party that doesn’t involve alcoholic beverages. For instance, you could try hosting a brunch of breakfast as both of these provide the right opportunity for an alcohol-free celebration that will still be enjoyable and generous. Don’t Forget the Following if You Do Serve Alcohol! Get in touch with Will Marshall or your Insurance Broker to determine if you require additional alcohol liability insurance and confirm whether your host liquor liability on your commercial insurance policy is appropriate if a claim were to arise. Be sure to thoroughly communicate prior to and throughout the holiday party that there is zero tolerance in association to drinking and driving. Stay away from providing employees with an ‘open bar’ and instead offer 1-2 drink tickets. Hire professional bartenders to manage the guests and ensure drinks are provided and consumed in a responsible manner. This is the perfect time of year to give back to your community, to your customers and to your employees. The holidays are the perfect time to spread the generosity to local charities and say thank you to those who have helped with your business. As you plan your upcoming holiday party, we hope these tips and recommendations come in handy. Have a wonderful time whatever your holiday office party will look like! Will Marshall is your reliable source for commercial property and liability insurance. Whether you are a restaurant, contractor, retail store or legal office, we can build a policy that is fitting to your unique needs. Stay safe this holiday season and enjoy!